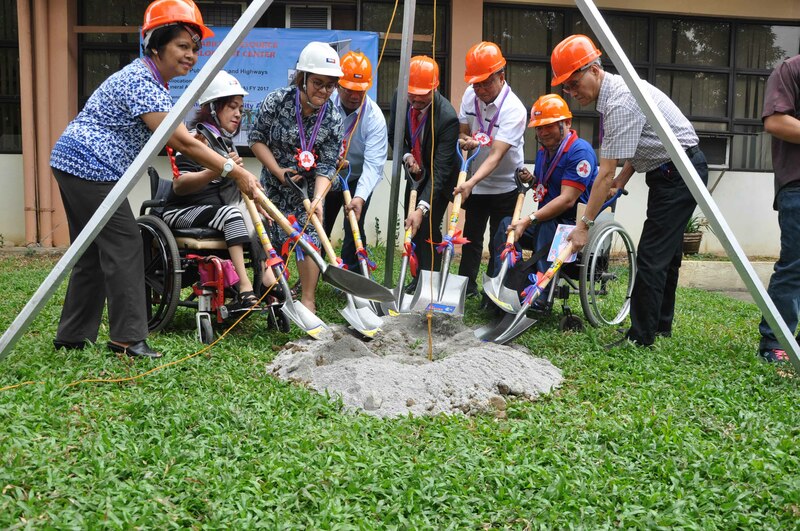 The National Council on Disability Affairs (NCDA) launched the groundbreaking ceremony of the model “Disability Resource and Development Center” or DRDC on February 24, 2017. This coincided with the 34th Anniversary of the Accessibility Law or Batas Pambansa Bilang 344 which seeks to enhance the mobility of persons with disabilities by requiring buildings, institutions, establishments and public utilities to install facilities and other devices. The occasion was led by the NCDA Governing Board representatives, DSWD Undersecretary Maria Lourdes Turalde-Jarabe, DPWH Assistant Secretary Eugenio Pipo, DOJ Undersecretary Deo Marco, TESDA Executive Director for Partnerships and Linkages Director Luz Amponin, DICT Director Nestor Bengato (representing Secretary Rodolfo A. Salalima), DPWH Bureau of Designs Director Dante Potante and the Quezon City Persons with Disability Affairs Office Head, Arnold de Guzman, representing the sector of persons with disabilities. The event was also graced by the representatives from a number of government and non-government agencies, disabled people’s organizations and other stakeholders. The Model DRDC is envisioned to be the hub of information, program and policy development, capacity building and networking for all disability stakeholders, which can be replicated by local government units and regions. The project was developed in 2015 by the participants of Australian Awards Fellowship (AAF) Program composed of representatives from NCDA member government agencies. The realization of the model DRDC building was made possible through the P83-million fund from the Department of Public Works and Highways. 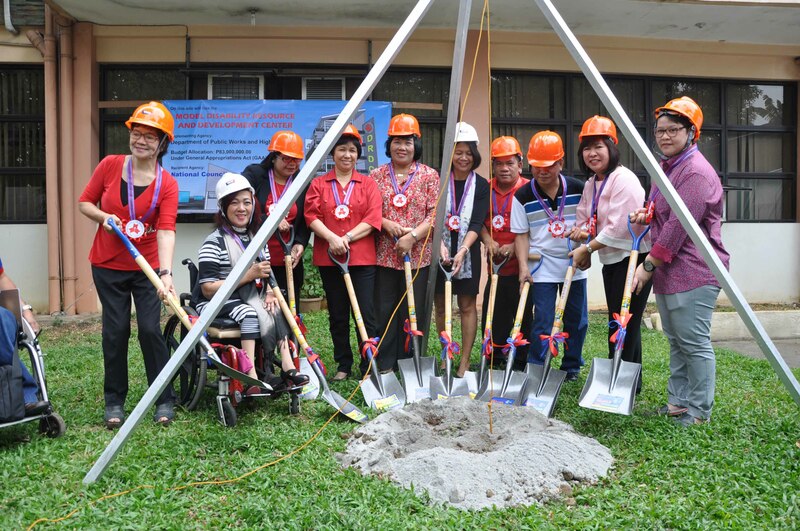 After the ground breaking, a “Multi-Stakeholder’s Forum” was held where officials and representatives from the Philippine Physical Therapy Association, Inc. Community Based Rehabilitation Special Interest Group, World Health Organization, Manila Christian Computer Institute for the Deaf College of Technology, TESDA and Empowering People with Disabilities, Inc. expressed full support to the project in developing an inclusive and accessible programs responsive to the needs of persons with disabilities at the community level. The NCDA also turned over a wheelchair for Mr. Jose Bugas, a person with physical disability (lower limb) of Bohol Congressional Library in Bohol. I want to connect my community in Dasmarinas City. I was the former President of PWD Paliparan 3 Chapter, Dasma.. and a former member of City Federation of PWD Dasmarinas. I work at TUP Manila as Professor 3 in the Integrated Research and Training Center. I am an Electrical Engineer.